Ingmar Bergman, arguably the greatest director of all time, and a director, whose films I never like, but love it and adore it. This was my first Bergman film, and yet still the best. Though, I would say this out of all my choices in the series, picking one Bergman film was certainly the most difficult. 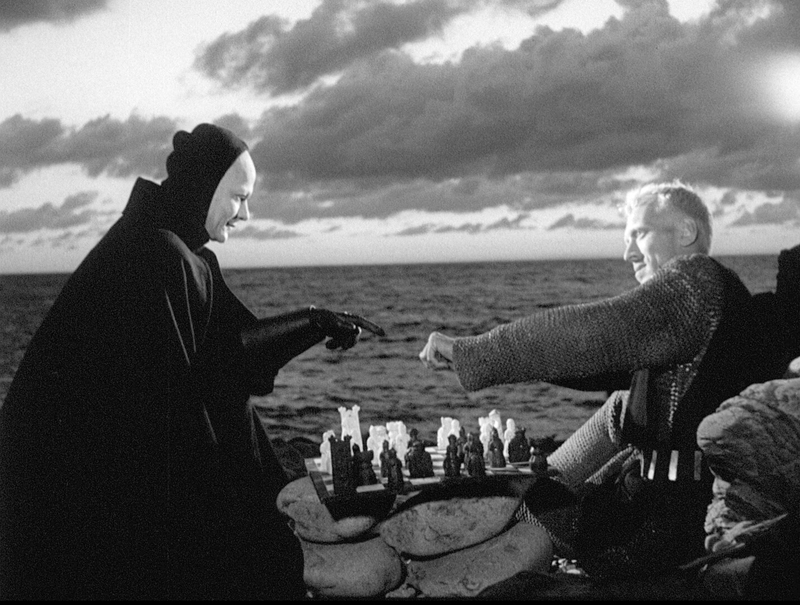 Some times, I gave a slight edge to Fanny & Alexander and sometimes to Wild Strawberries, but in the end, The Seventh Seal takes it all. This film is the best film for me of the prestigious decade in cinema history 1950's, besides that this is my favourite philosophical film ever, no film covers the art of philosophy like this one does. This is Bergman's magnum opus, with such an intelligent and interesting plot. It's small run-time passes like a small episode of T.V, because of Bergman's magical direction. 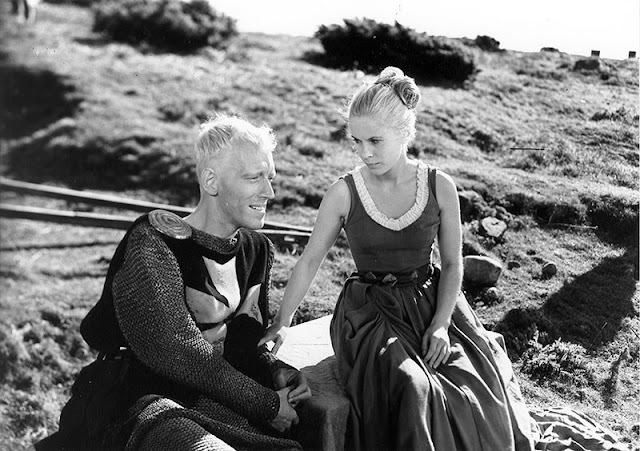 Besides, the serious plot, this film is very enjoyable too, there are moments in the film where I had a smile on my face, the reason for that is the profound characters that Bergman created. This has shifts in tone, and never I felt like how did this change took place. This film is one of the most extra-ordinary film I've ever seen, this is one of the very best Art-House films of all time. This film is not about the end of time, but silence between man and God. This film is one of those films were I was hooked right from the first scene till the last. No film, arises the question this film does, "Does God exist"? This film is a serious one, but filled with happy moments like "eating wild strawberries" one, and others. Bergman manages to create a care feeling for the characters of the film till the end. It is one of the most beautiful black and white films I've ever seen. Nearly, sixty years of it's release, this film never feels at once like it is dated, it is still as rich as it was back then I guess. This is one of those films, which I re-vist time to time. The chess scene's are simply one of the most astonishing scene's in the cinema history, though it is given importance, but the film is really about something else. It is one of the most unique experiences I've ever had, I mean, how can someone, even think of a plot like this. All credits goes to the master Ingmar Bergman, with his beautiful piece of writing and direction.The ending of the film is one of my favourite endings in films ever. If you haven't seen any Bergman film before, this might be the one to start with. Hope you enjoyed my third instalment in the favourite film series!